Hello Sandy! Would you like to be my next interviewee? I know that you’re staff on xat Chat. Can I ask you a few questions about your private life? What is your real name, where are you from, and how old are you? My real name is Sandy-Vera, I will not reveal my family name because it’s too personal. My age is over 30, I do not like to admit my age. As for personal issues, I am a little reserved. There is not much to tell about me. I live in Germany, I’m German. My languages are German, Turkish and I speak a little bit of English. Since I am very interested in other cultures, I have learned the Turkish language. I’m a lone fighter, I like to help others and hear from others. I’m a trustworthy person. I never studied. At that time I trained as a painter and varnisher. After that, I work in other jobs. At the moment I’m working, in the mobile social service. I’ve been with xat since 2007. I had a Windows Live Space back then, That’s how I met xat. My first chat where I was active was in the base chat. Well, I have seen many things here in the whole years, good cause as well as bad. What words would you choose if you had to define yourself? Trustworthy, calm, reserved, I do not agree with any friendship. I’m observant, I like to help others and listen, but I don’t talk much, haha. 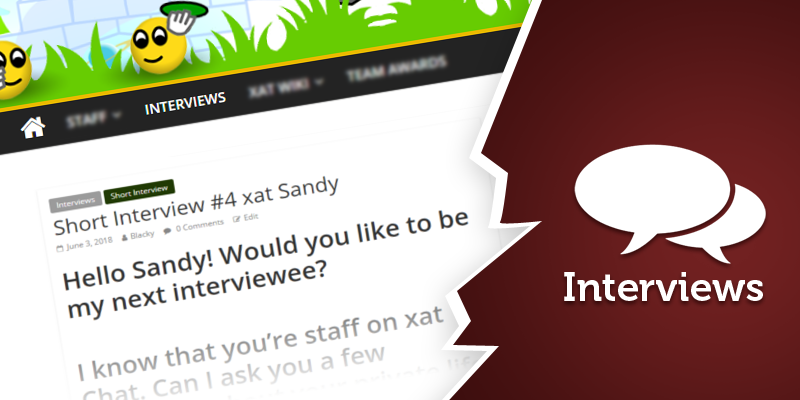 What do you think about the xat community? Is there anyone you especially trust? Trust is paramount to me. Unfortunately, many people think only in powers and not in friendship. To be honest, I think that’s sad. In the past, xat was different. In addition, you can not trust anyone here … It’s a pity. Many people are just out to argue and interfere in private life and publish it. Every user has a right to protect his private life! Sorry, but I do not trust anyone 100%. 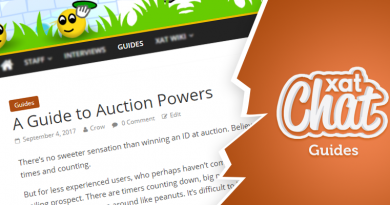 Can we talk about the xat community? What is your favorite power? My favorite powers are Nopm & Nopc. How long do you think you’ll stay on xat? How long have I stayed in xat? Good question. I’m still here in the near future. What do you think about the xat forum? I like xat forum. You can share everything there, and you can exchange too. What is your favorite chat? I have several chats: Karanfil, Myrafm and Chat. If I were to ask your xat friend to describe you, what would they say? Unfortunately, I can’t answer this question. You should ask that to yourself. Do you have any special message to end this interview? Great thing you do these interviews. We as staff members should know anyway with whom we spend days in the chat. Thank you very much, Blacky.